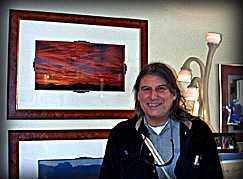 Sage Boutique at Old Town Artisans is exhibiting Tony Crow's Spiritually uplifting Sonoran sunsets. Photographs are framed in a southwestern burl wood frame (32in x 26in) with a double matt Zuni cut motif. Custom framing and sizes also available. of Native Ameican and other select, nationally recognised artists and craftsmen. The Owners of Sage have created a true Tucson style, friendly, relaxed, and contemporary atmosphere in the beauty of a historic setting. Located within the heart of the El Presidio Historic District in downtown Tucson, Sage Boutique resides within a restored 1850's adobe building called the Old Town Artisans marketplace. Old Town Artisans has featured contemporary and traditional work, representing the best of local and international talent since 1978. 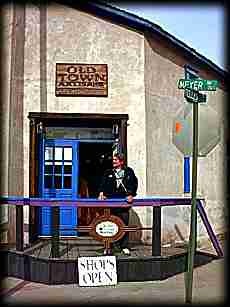 Sage Boutique in Old Town Artisans is located 4 blocks south from El Charro (oldest family run restaurant in the USA), and across Meyer St. from the Tucson Museum of Art and La Casa Cordoba- the oldest free standing dwelling in Tucson.